Big Blue Door is pleased to announce a two-session sketch comedy workshop in March! This two session workshop will introduce you to the basics of writing short comedy for stage, video, radio, or film–both as stand-alone sketches or scenes in longer works. This is a great class for playwrights, screenwriters, improvisers, directors and even actors with hands-on, practical, immediately-useful writing techniques! 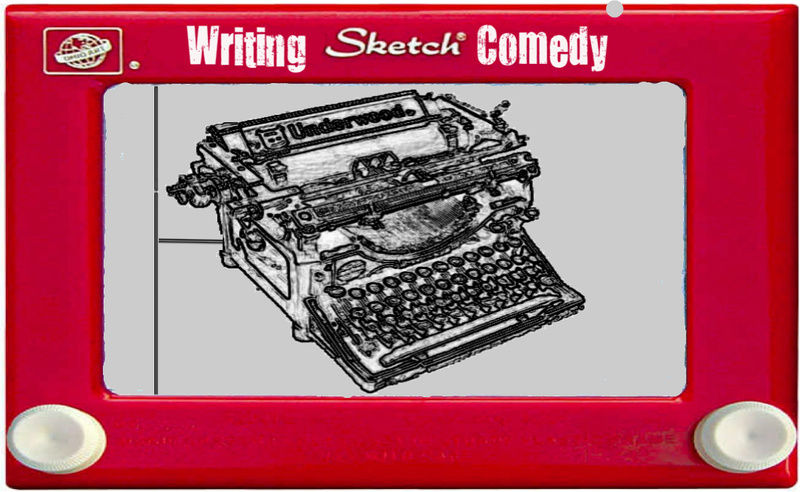 Sketch comedy writers learn techniques for analyzing scenes that differ from the standard writing course categories like plot and theme. In comedy we learn to look at patterns that establish the scene and counterpatterns that heighten what’s unusual or distinctive. Sketch writers call these counterpatterns ‘games.’ Learning to recognize games, and play them in your scene writing will give you the tools to explore what you find funny, strange, or interesting in the world. In the first session of this two-session course we’ll look at some comedy scenes from the Chappelle Show, classic SNL, and even Vaudeville to find examples of basic types of games: character games, relationship games, and genre games. Then we’ll use these skills to create characters and place them in scenes. As a take-home assignment between sessions students will be asked to complete the short scene that was begun in class. In the second session we’ll briefly review the assignment, and then look at how comic scenes and character games are used in longer works like sitcoms, movies, and plays. Sketch writing techniques are a basic building block for any form or writing. Writing Sketch Comedy. March 3rd & 10th; 2-5 pm. $55. Both sessions at Park School downtown.